DAVIS-MONTHAN AIR FORCE BASE, Ariz. — Allegations of pay and allowance fraud here are always a serious concern. Throughout our Air Force, recent allegations substantiated through investigative work have uncovered hundreds of thousands of dollars in damages against the US government, with potential to run into millions of dollars in damage and potential recoveries. Given the budget cutbacks and ever-tightening financial limitations under which we operate, these violations of departmental policy and law, when publicized, have a tendency to erode taxpayer confidence in our ability to manage critical purse strings. According to the Defense Finance and Accounting Service (DFAS), entitlement fraud occurs when there is misrepresentation, fault, or lack of good faith and the individual should have known, or reasonably known, that an incorrect payment has occurred, and failed to inquire or bring the matter to the appropriate official’s attention. 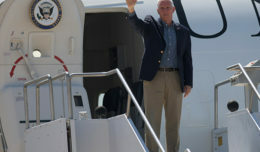 A taxpayer I recently encountered amidst these investigations, who wished to remain unidentified, poignantly remarked, “It shakes my confidence greatly because it makes me wonder how else their (the US military) lack of oversight and integrity is hitting my wallet. I think it also unfairly casts other people in a negative light, even if they’re using the program correctly.” I believe these concerns are most valid. I also believe that their negative effects can be mitigated by four means within our collective and individual spans of control. These four means are: integrity, attention to detail, education, and enforcement. 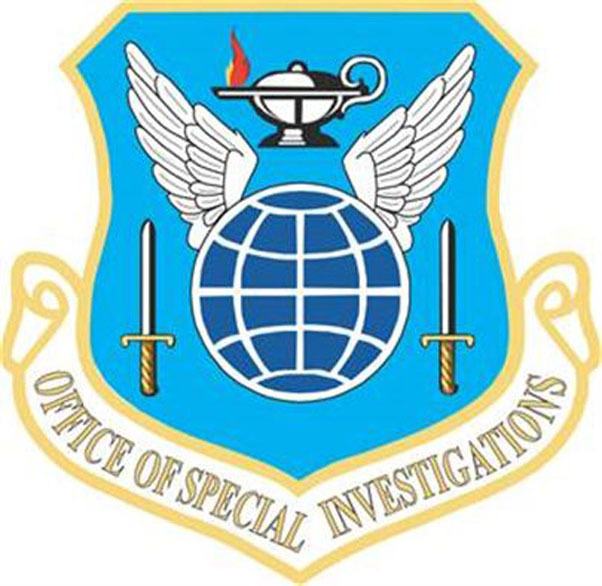 To give the reader a snapshot of the scope of this problem within our Air Force, I can share with you that OSI conducted almost two dozen investigations related to pay and allowance fraud allegations in the last three years at another location (not here in Arizona). Specifically, the investigations I mention proved that service members fraudulently claimed residency or rental amounts to receive funds for which they were not legitimately entitled. Those particular investigations resulted in prosecutions of offenders, resulting in numerous felony convictions and the court-ordered recovery of over $500,000 in fines and restitution from those offenders. This process also shed light on poor bookkeeping practices of service members and their servicing institutions. Finally, as unbiased investigators, know that we were also able to disprove some allegations, exonerating those individuals who were suspected of committing financial crimes against the US government and removing the stigma associated with being a “suspect” of a crime. 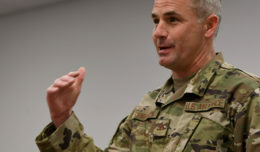 Taking a step beyond exercising our integrity and paying attention to the details of our financial commitments, I can say that educating commanders, supervisors, and service members is also critical to safeguarding our reduced financial resources. My OSI team here in Tucson continues to be available for educational briefings on a one-on-one, group, or commander’s call setting. 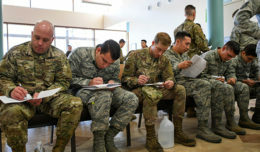 Beyond the realm of education/prevention from OSI, the finance offices of the 355th Fighter Wing and 162th Air National Guard have professionals on staff to address concerns of service members and their leaders. When OSI uncovers an allegation of a crime, any crime for which we have jurisdiction and a purview, we pursue those allegations thoroughly and vigorously. Law enforcement, after the fact, kicks in here. If our investigations lead to the disproval of allegations, we close those cases, inform prosecuting authorities, and move on to the next investigation. Those investigations that turn up sufficient evidence of wrong-doing get pushed forward to a prosecuting authority for action. That prosecuting authority rests with the US Attorney’s office and by commanders’ actions under the UCMJ. An interesting observation from the course of my experience in OSI is that when we find evidence of personal culpability in these types of allegations, those cases typically also discovered a lack of leadership involvement within the affected unit. The lack of involvement I speak of merely suggests that sometimes individuals either look the other way, or at times blindly support those accused, when one is presented with knowledge of a “victimless crime.” When I refer to leadership in this regard, my intention is to express that leadership can come from a first line supervisor, a shop chief, and at times even the more senior individuals in a unity, such as a superintendent, first sergeant, and/or unit commander. The enforcement angle I emphasize in this passage isn’t exclusively for the enforcement of the laws and regulations after the fact, but for the enforcement of our Core Values along the way. I believe if we set and enforced standards at our most local level (office, shop, work center), incidents of these crimes would be significantly reduced. It is vitally important that service members and their leaders are honest stewards of the funds entrusted to them. Believe it or not, OSI is here to help. Our mission is to identify and neutralize threats to the Air Force and Department of Defense. The misappropriation of hundreds of thousands (or even millions) of dollars is a direct threat to our Air Force in these challenging financial times. If we can help you in any way, please reach out. If you have any information with regard to fraudulent receipt of military entitlements, please give us a call. Feel free to give my team a call locally at 520-228-5168, text us a tip to 274637 (CRIMES), e-mail us at http://www.tipsubmit.com/WebTips.aspx, or drop by our office located at building 4300 (on Madera, located in the building with the AZ MVD office).